Who doesn’t want to be financially intelligent? The truth is that most of us think that we already are. I mean who has any real free time to bash themselves over their finances. The power behind not becoming a slave to your finances can be answered with one simple question, are you organized? One major thing we can be honestly avoiding is clutter. Sometimes unknowingly we tend to let things pile up. Is Clutter Affecting Your Finances Here are five ways to help you tidy up your finances by de-cluttering. Through cleaning your space you can also find things that you were looking for in the first place. It’s easy to find receipts, bills and credit card statements that you may have ignored or forgot about. Along with tidying up, you will realize how much of hoarder you truly are. Please be sure during this cleansing process not to hold onto to anything that does benefit you in the long run. Now that our personal space is all well and tidy, let’s make the conscious effort to go paperless. Trust me it is more freeing than it sounds. After clean up time, it is easy to notice that most of the mess came from paper clutter. Begin by setting up your bills and accounts to the paperless billing option. Sign up for automatic easy payments on monthly recurring costs. Organize your paper receipts by scanning them through apps such as Expensify and Receiptmate. Lastly, invest in a shredder. Life is way too short to be drowning in paper. It’s a proven fact that the more space you have, the greater the opportunity for clutter. Try to limit your space as much as you can. Cracking down on space can be as easy as asking yourself, what is your storage space usage? We tend to spread out our “mess” instead of consolidating all of our expenses in one convene spot. Ever signed up and/or upgraded to a new website, gym or service for the first free month and forgot to cancel it later on? We all have, so no need to be hard on yourself. Lets analyze all recurring costs and see how necessary they truly are. Looking at all your monthly costs can really put into perspective how much money is spent on what we utilize the least. With enough research you will notice that there are some cancellations in order. 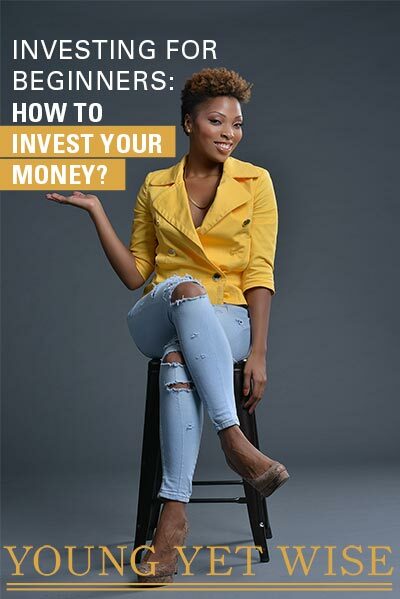 Speaking of analyzing your spending Anthony and I hosted a workshop recently titled You can do both: How to Pay off Debt and Invest if you make less than 50k a year. The replay of the workshop is available for purchase here! The quickest way to bring something to fruition is by visualization. Whatever you visualize, you can materialize. Imagine a space clutter free, a space where your finances do not bring you grief. Acknowledging that mental health and financial health go hand and hand will allow you the freedom intended for growth. Thoughts give rise to actions. Visualize your success and then take action.